This ultra-compact, powerful LED illuminator was created so it could be carried and used by everyone. 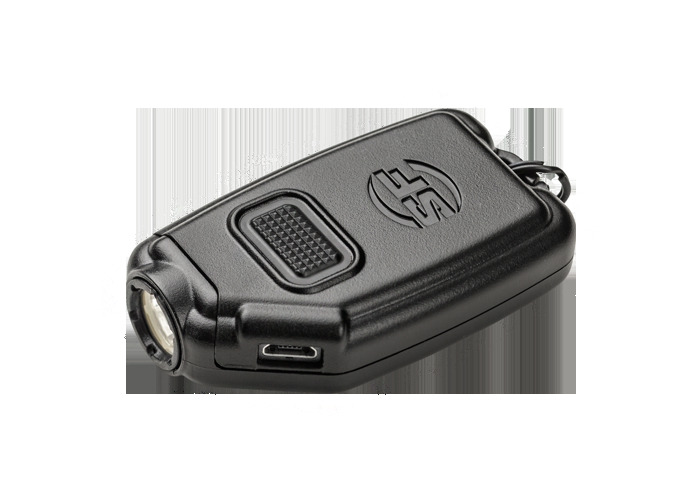 The rechargeable Sidekick was designed to attach to keys so it’s always available and, most importantly, ready for everyday use and emergencies. This polymer-bodied light features three levels of output that will provide security and peace of mind, no matter what. On high and operated just like a key FOB, its wide, smooth 300-lumen MaxVision Beam™ illuminates all dark areas at night, providing peace-of-mind navigation with a useful range well past 50 meters. Its medium- and low-output settings, 60 and 5 lumens respectively, offer much more runtime and more than enough light for reading, close-up work, or even navigating outdoors while preserving dark-adapted vision. Sidekick is ideal for everyone, even children, keeping in mind that the light output from a typical smartphone doesn’t offer one percent of the light output and it drains all-important smartphone battery power. This tiny, lightweight light, which can also be carried in a pocket or purse, is easily rechargeable via its micro-USB port using a vehicle or wall charger. Protect yourself and your family—own the one and only Sidekick—something everyone should have at their disposal.